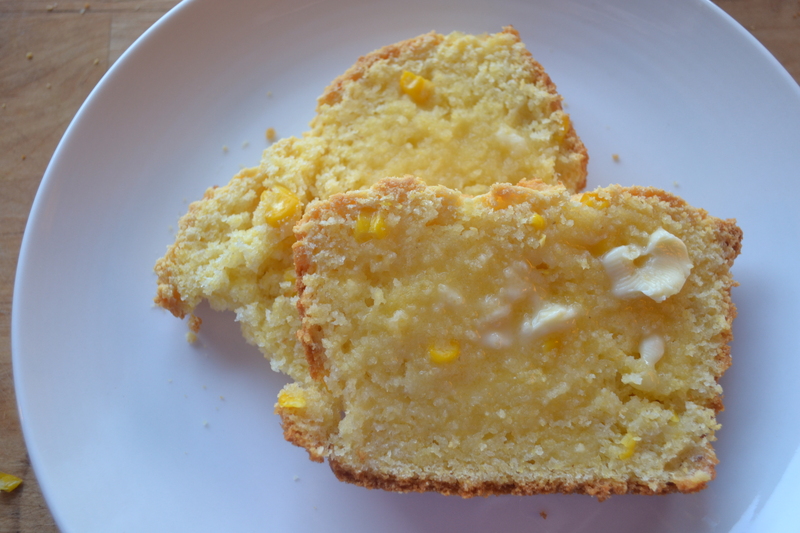 Corn bread seems to be one of those recipes that can, over time, become a closely guarded family secret. There are so many ways to make it, and depending on where your family is from there will be different ‘rules’ that apply. 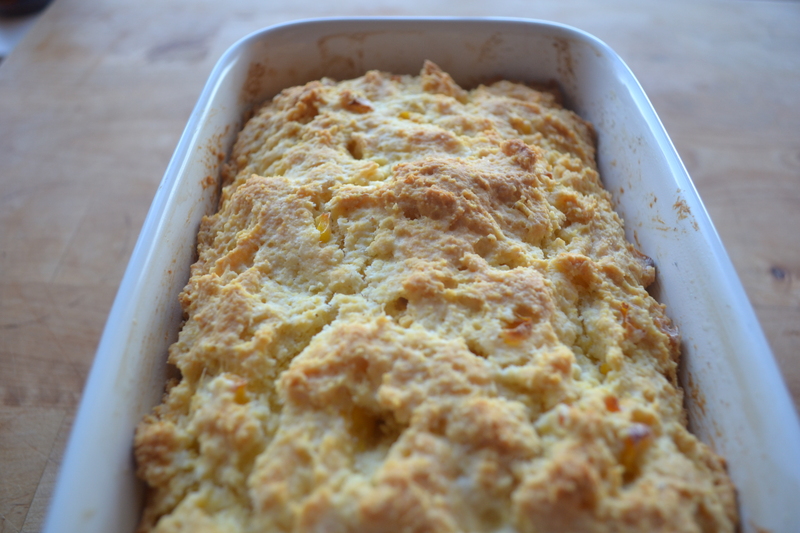 Although it is practically a staple in the American south, cornbread transcends borders and cultures because it is simple to make, economical and extremely versatile. I grew up knowing corn bread as a pan bread, often baked in a cast-iron skillet, it’s soft, wet yellow batter baking into a crunchy bottomed, crisp topped round. With this recipe I wanted to look at it more as a quick bread, still unyeasted of course, but more bread-like in shape and almost cake-like in consistency. Employing ‘the muffin method’ (quickly combining wet and dry ingredients at the last moment) to the batter seemed to make sense and I’m happy to say that it worked out beautifully. Using a deep loaf pan made for a long cooking time, but the wait is well worth it; you are rewarded with a moist, tender loaf with a deep fresh-corn flavour. We ate this along roasted chicken and the Radicchio Salad posted earlier this week but it would make a great accompaniment to stews, chili or soups as well. Enjoy! Combine the dry ingredients and mix well. Beat eggs and set aside. 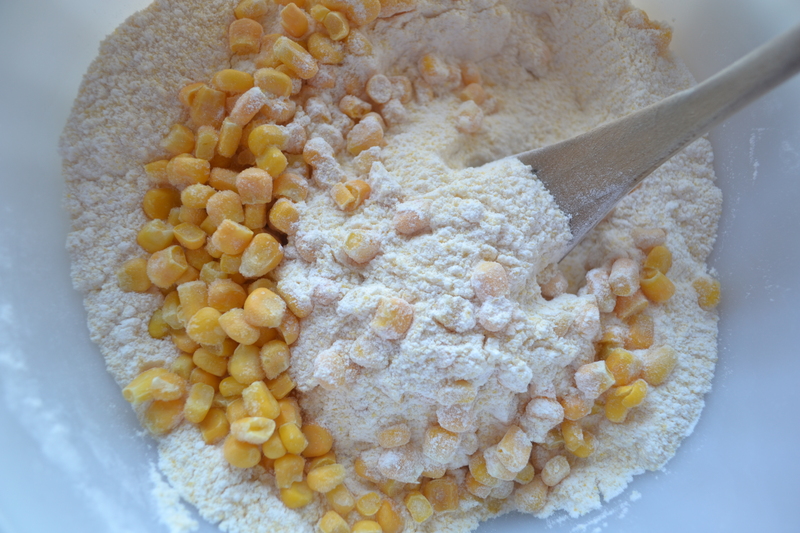 Add the frozen corn to the dry ingredients and stir well. 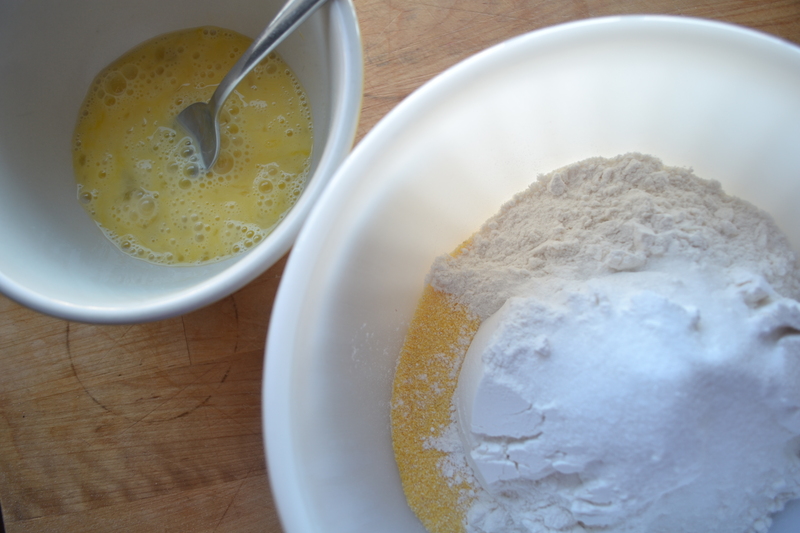 Mix the melted butter with the milk, add the beaten eggs. Pour the wet ingredients over the dry and mix quickly to combine. Don’t over mix, allow for some dry spots and lumps. The batter will be thick. 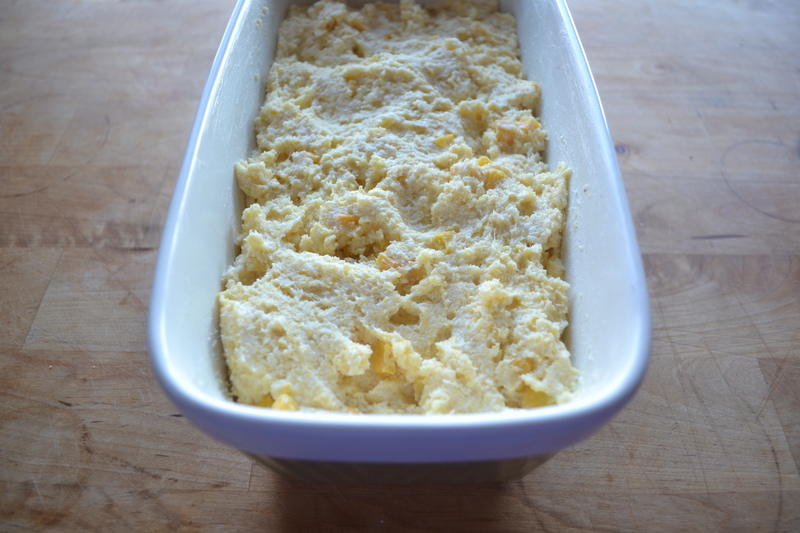 Scrape the batter into a large, buttered loaf pan. Bake at 350 degrees for an hour or up to an hour and 15 minutes. Test for doneness with a wooden toothpick or skewer. Invert the loaf onto a cooling rack and allow to cool completely before slicing. Serve warm or at room temperature.